An entertaining and intelligent adventure written by debut novelist, Benet Brandreth, the first of a planned trilogy. This witty adventure story takes place in London and Venice and on the journey between them. Its brio, cast of highborn and lowborn characters, high stakes escapades and peppering of great lines with delicious moments echoes Alexandre Dumas. Set in the late 16th century, it tells the story of a glover’s son in Stratford named William Shakespeare. Bored by small town life, he has an unwise liaison with the daughter of the local landowner, whose father seeks revenge, forcing William to London. 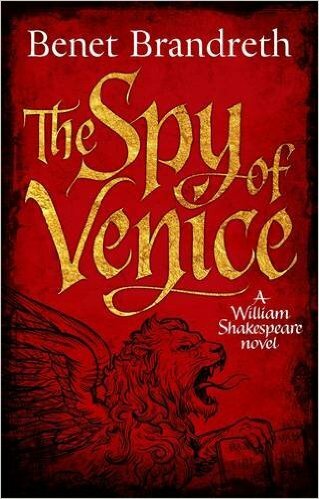 His quick wit and understanding allow him to fall in with the players and he joins an embassy heading for Venice. There Shakespeare meets Veronica Franco, a beauty with a mind as lustrous – a poet, a friend of the painter Tintorreto, and a woman in danger. Shakespeare becomes embroiled in Veronica’s fate. Will she be safe even in Venice? Moving amongst them is Giovanni Prospero, Count of Genoa, and the poisoned dagger in the Pope’s hand. Playful and inventive… the dialogue is wonderful. The banter between Will and the actors sparkles.